Under Construction. Under Construction. 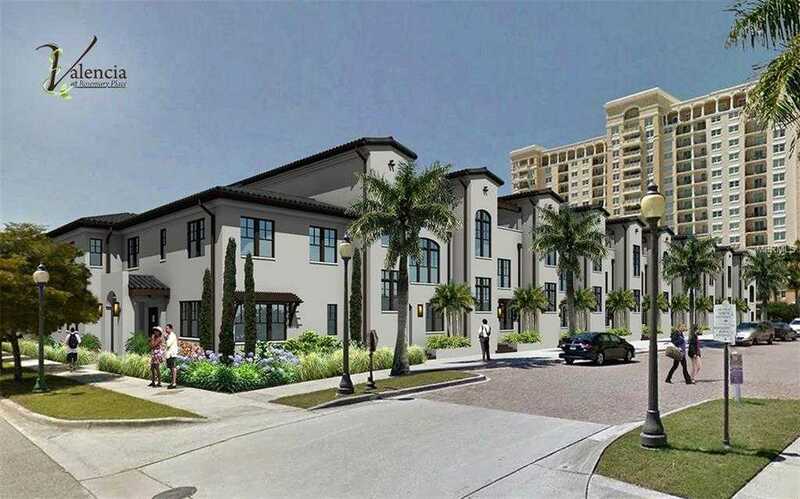 Valencia at Rosemary Place PHASE II Townhomes, New Construction with completion schedule for Apr/May 2019. Located in the Downtown Sarasota Rosemary District. The Almeria floor plan features 2,099 sq ft, 3 bedrooms, 3.5 baths, 2-car garage, private patio, lots of windows for natural lighting. Interior features include; premium hardwood floors, designer European-style wood cabinetry with 42 cabinets and crown molding, KitchenAid Stainless Steel Appliances (gas), granite countertops, and choice of 3 elegant designer finish packages in multiple styles. Walking distance to all of what downtown Sarasota has to offer, across from the Van Wezel Performing Arts Hall, near Ringling Museum, St Armands Circle, Lido Key and Longboat Key beaches, short distance to Sarastoa/Bradenton Airport and much more! This is a fee simple townhome ownership (not condominium). HOA is $447 a month, which includes; water/sewer/trash, common area electric, Amenity Area with beautiful wall fountain, trellised arbor with columns, multiple seating areas, ornamental pots and accent brick paving. Renderings are subject to change. Additional Water Information: Steps from Sarasota Bay. Please, send me more information on this property: MLS# T3162941 – $597,345 – 1282 May Ln #22, Sarasota, FL 34236. I would like to schedule a showing appointment for this property: MLS# T3162941 – $597,345 – 1282 May Ln #22, Sarasota, FL 34236.